Beech Cottage, Paddock House Farm Cottages in Alstonefield, Ashbourne sleeps 6 people. Surrounded by 5 acres of delightful grounds and reached along its own long drive, Paddock House Farm nestles peacefully in a secluded spot between the famous Peakland villages of Alstonefield and Hartington, renowned for its cheese shop. Arranged around a courtyard, these three charming cottages refs 18984 [Ash Cottage], 18985 and 18986 [Hazel Cottage] enjoy uninterrupted views across the Manifold Valley. Stabling and grazing for horses is also available (at cost) by direct arrangement with the owner. This wonderfully rural setting is a walkers paradise and there are ample opportunities to explore the great outdoors. Golf, riding and fishing nearby. There are excellent cycle trails along Dovedale and the Manifold Valley. Ground floor: Living room with French doors. Dining room/kitchen. 1 twin bedroom. Bathroom with shower attachment and toilet. First floor: 2 bedrooms: 1 double (four poster), 1 twin. Shower room with toilet. Open fire in living room included. Holidays at Beech Cottage, Paddock House Farm Cottages run from Friday to Friday. 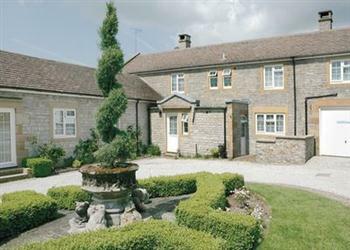 Beech Cottage is in Derbyshire; should you be on the lookout for a special offer, you can find all the special offers in Derbyshire. It's always worth checking to see what is on offer at the moment. Do you want to holiday near Beech Cottage (18985), you can see other cottages within 25 miles of Beech Cottage; have a look to find your perfect holiday location.